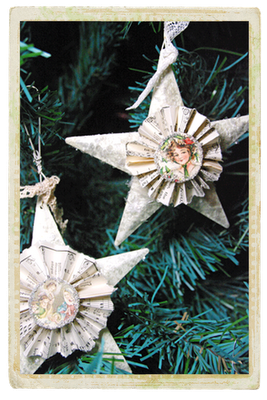 Pop on over to Joli Paquet Blog to see my tutorial on how to make these vintage inspired ornaments. I would love to hear what you think about my tutorial. I just found a wonderful giveaway at 52 Flea. Pop on over to have a chance a winning! Have a wonderful day, dear friends. I had to click over right away to see how you created them!! This will be a fun way to spend the long Thanksgiving Weekend!! Thanks so much for sharing your tutorial with us! Those are beautiful, Sheila. I am going to hop on over!